James Brown was flanked by City Councilor Thomas Atkins (left) and Mayor Kevin White at Boston Garden, the day of the concert. Truth be told, James Brown was always more Bruno Mars than Kendrick Lamar. With incendiary lyrics and performances, Lamar takes aim at racial injustice and police violence. Mars, meanwhile, is an entertainer who makes songs that are played at wedding receptions. 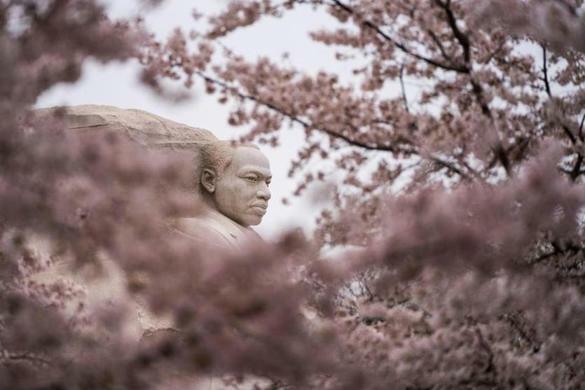 Editorial: The enduring radicalism of Martin Luther King Jr.
And Brown, first and foremost, was an entertainer. This is not to denigrate one of the most dynamic and iconic performers ever. It’s only to state that 50 years ago Brown was an unlikely hero during one of the most racially charged moments in Boston’s difficult history. On April 5, 1968, Brown was scheduled to play the Boston Garden, one day after Martin Luther King Jr. was assassinated in Memphis. 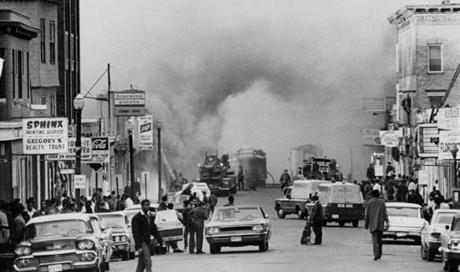 With communities nationwide in flames, the violence of King’s death was answered with mayhem born of grief, disenfranchisement, and anger. City officials feared Boston, which was already experiencing some violence and looting, would be next. A store on Blue Hill Avenue in Roxbury burned during unrest after the killing of Martin Luther King Jr. Hoping to deter further unrest, Boston’s new mayor, Kevin White, urged Brown to go forward with the show, and he talked him into allowing it to be televised live on WGBH. White wanted people in their living rooms instead of the streets. Only 2,000 people attended the concert in the 14,000-seat Garden. When overzealous fans began to swarm Brown near the end of the show, he first had to calm the police who, primed for a riot, tried to forcibly remove them from the stage. Brown then turned his attention to the young people around him — shaking their hands and allowing them to dance with him. When they were slow to leave the stage, Brown spoke directly to them. Brown would get that respect. “Now are we together or ain’t we?” After a loud cheer, he continued the show. According to published reports, there were minor skirmishes in Boston that night, but nothing approaching the riots that city officials initially feared. Of course, since we’re talking about the “Godfather of Soul,” the real story is more complicated. Brown thought he would lose box office money since his concert would be televised; he demanded $60,000 from the city to make up for lost ticket sales. To borrow a line from one of his songs, Brown didn’t take no mess when it came time for him to get paid. In America, black existence is an act of defiance. Today, we’re not just accustomed to our artists taking stances — we expect it. Especially for groups marginalized by the current administration, the stakes are too high for bystanders to be tolerated. From Beyoncé to Janelle Monae, artists understand how to use their platform and power. A few days after Chance the Rapper tweeted he found a Heineken beer ad “terribly racist,” the company pulled the spot. Lamar’s performances, which have included black bodies falling at the sounds of gunfire, and a vandalized police car, are like dispatches from a relentless war most Americans prefer to ignore. Hip-hop may have found its heartbeat in Brown’s hypnotic riffs, but not its politics. Brown largely shunned the politics of his time. “Soul Brother Number One” — he bestowed upon himself several honorifics, and deserved every one — was down with his fans inasmuch as they bought his records and attended his shows. Yet unlike Nina Simone (“Mississippi Goddam”), Sam Cooke (“A Change is Gonna Come”), or the Impressions (“People Get Ready”), Brown wasn’t singing about the trials his people faced, although he did perform at a 1966 civil rights rally at historically black Tougaloo College in Mississippi and donated money to the Congress of Racial Equality. Mostly, though, Brown’s salve for what vexed his fans aimed for the hips, not the head. 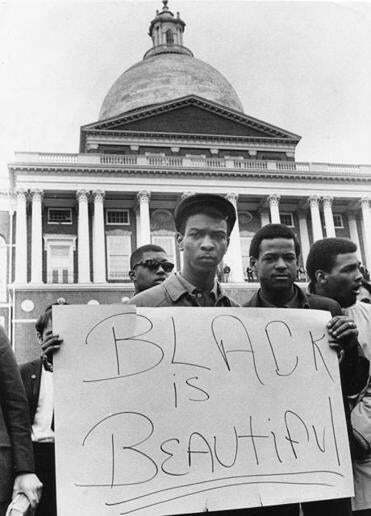 Demonstrators at the State House in Boston, the day after King’s assassination. This didn’t sit well with civil rights activists, who wanted Brown’s presence to shine a bigger spotlight on their cause. There’s even an apocryphal story that claims Brown finally came correct after the Black Panthers allegedly left a grenade, pin intact, in his dressing room. Whether or not that story is true, four months after he “saved” Boston, Brown released “Say It Loud: I’m Black and I’m Proud.” King’s assassination and its bloody aftermath politicized Brown’s music in 1968. Another likely influence were memories that night in Boston Garden when his community turned to him for affirmation and salvation. Lyrically unlike anything Brown had previously recorded — or would again — it was a funky Molotov cocktail of a jam. From Boston to Oakland, from Dallas to Detroit, it instantly became the new black national anthem. It was the soundtrack of a movement still mourning King, and tired of being polite. No song had ever made black pride such a definitive statement. Black wasn’t a burden, or a yoke around one’s neck that invited suspicion or derision. Fierce, beautiful, and proud, we were ready to collect on this nation’s long overdue debt. Still, Brown was also a businessman reluctant to alienate any potential audience — Republicans buy records, too. After initially supporting 1968 Democratic presidential candidate Hubert Humphrey, he backed President Richard Nixon in time to play “Say It Loud” at an inaugural gala dominated by rich white Republicans. President Nixon and Brown in the Oval Office in 1972. Brown performed at one of Nixon’s inaugural galas. 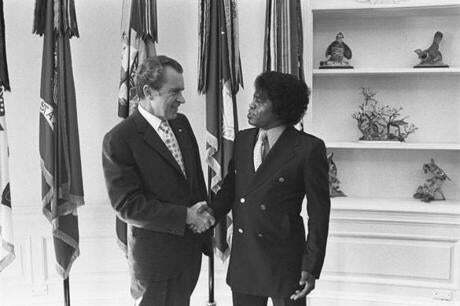 He endorsed Nixon again in 1972, leading some African-Americans to boycott his records and concerts. Later, he expressed his admiration for Ronald Reagan. In 1999, Brown went even further. He called virulent segregationist Senator Strom Thurmond one of his heroes and “like a grandfather to me.” I shudder to think how Brown might have tried to embrace President Trump. 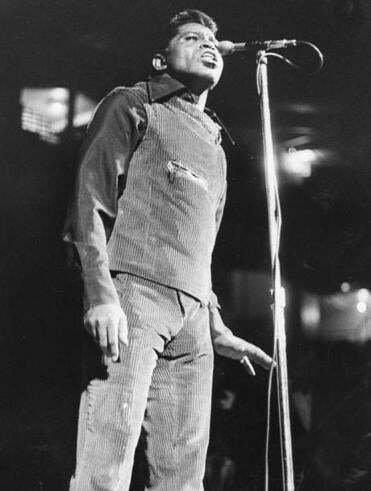 Brown performed at the Garden on April 5, 1968, the day after King was assassinated. Still, more than a decade after his death, many willfully choose to separate the art from the artist and remember Brown as one of the most influential entertainers in history. He’s there in Mick Jagger’s white-boy skitter; Prince’s impeccable showmanship; and Bruce Springsteen, on the brink of exhaustion, summoning one more encore. From Public Enemy to Kanye West to Childish Gambino, Brown’s indelible riffs are threaded into hip-hop’s DNA. Brown will always hold a special place in the soul of this city, the one that didn’t burn a half century ago. For a few anxious hours on a stage in a mostly-empty Boston Garden, Brown embraced his community, soothed the unimaginable grief that still haunts this nation, and helped keep Boston whole.